Layout made for SSD December Bingo Challenge #22 - Hands on font. I think I recall eating Tapas as a little girl when we lived in Spain. Great layout! I love the colors on this layout with the dark black background! The darkness of the background really makes those colors pop!! Love it!! Just amazing! 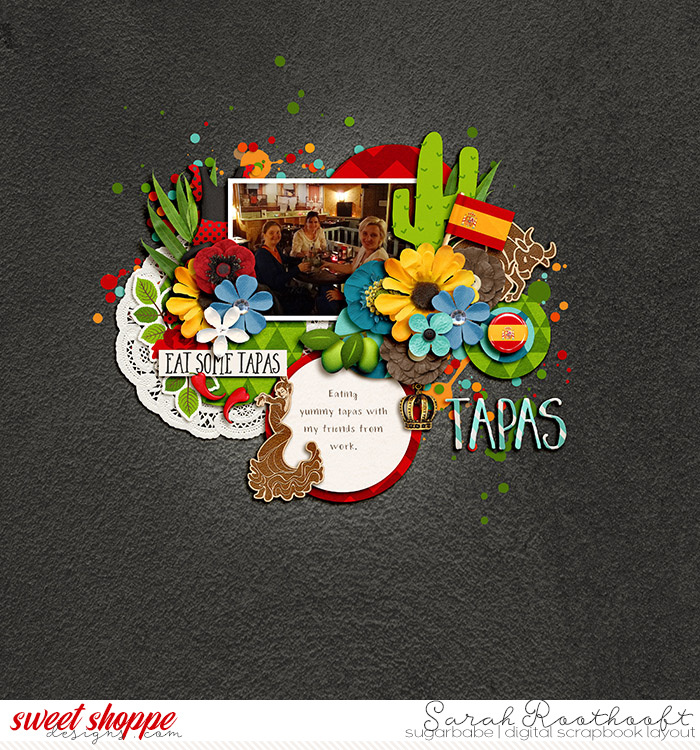 Love all: the colors, dark background, scatters, clusters and the cute pictures with the napkins, too beautiful!